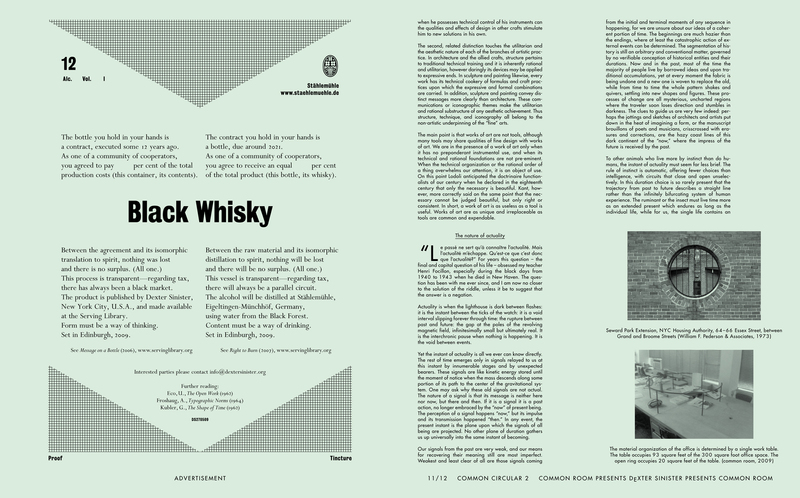 common circular 2 was published on the occasion of common room presents dexter sinister (circular). 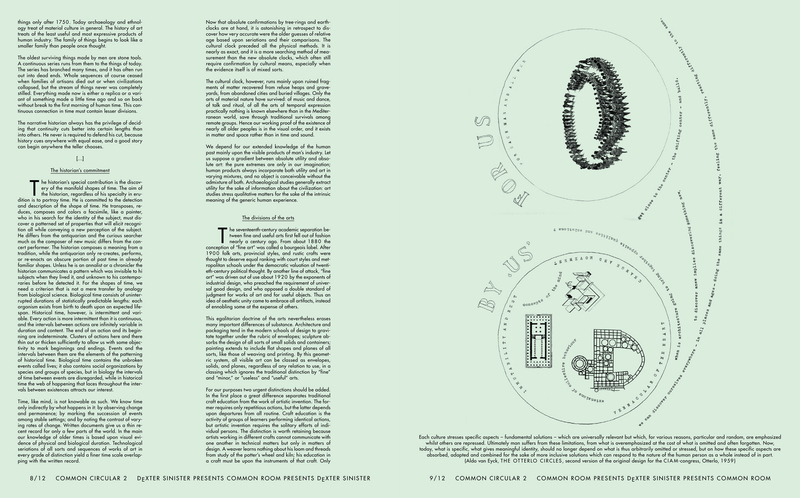 1 – this circular was printed with two different covers, one on the outside spread and one on the centerfold spread. 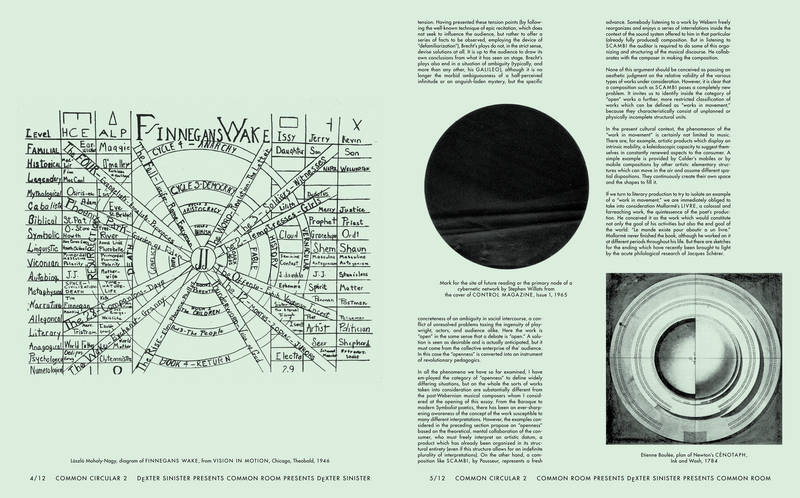 a stack of newspapers with the outside spread as cover was available at dexter sinister, and another stack of newspapers with the centerfold spread as cover was available at common room. 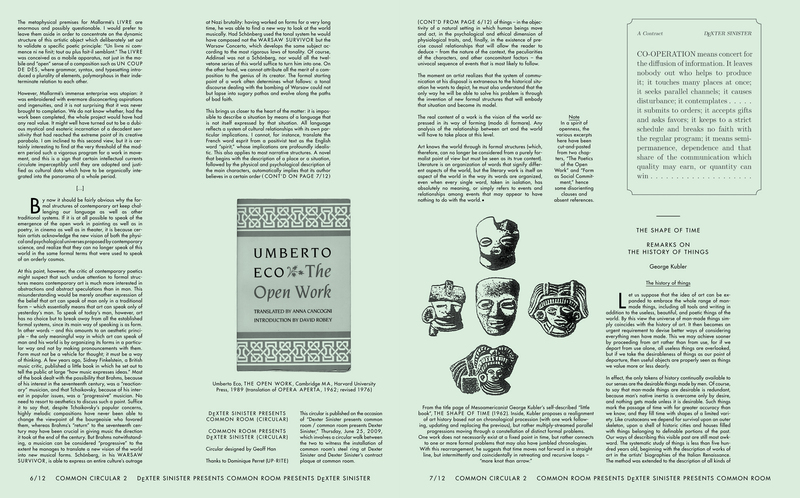 2 – ‘opera aperta (the open work),’ a text by umberto eco and a rubbing by will holder of the ‘cooperation’ plaque located outside of common room’s office. 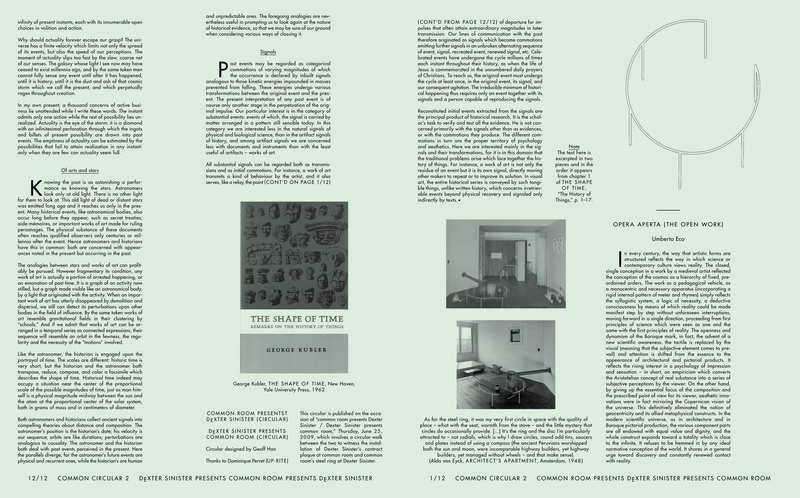 4 – the center fold of the publication that acts as the second cover. 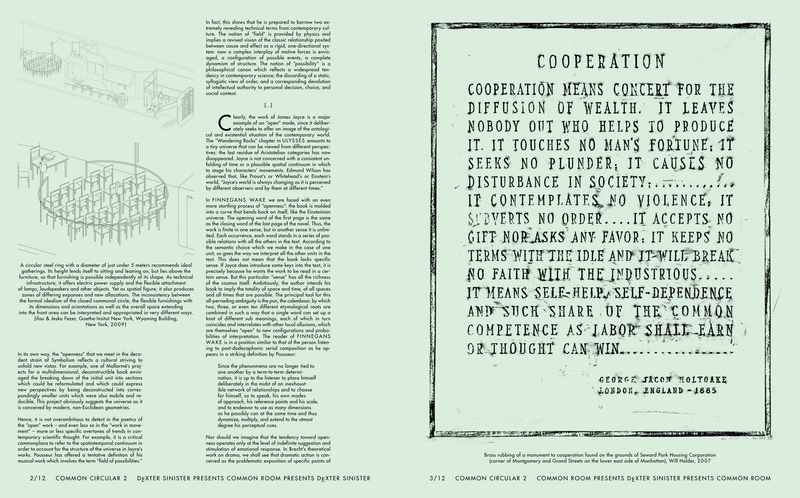 500 copies were folded normally, and 500 copies were folded in reverse.